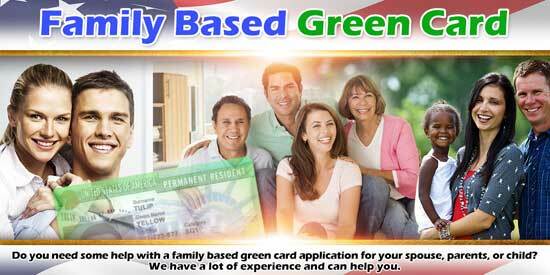 Family based green card applications are a broad category of green cards. This article is part of our series on Green Card Application Process. In organizing our discussion, we can split it into two components, the immediate relatives of US citizens, and family preference immigration. If you need information on a family-based green card, please keep on reading. If you know you need help now, please contact us. Immediate relatives of US citizens are parents, children, and spouses. Most of the immediate relative immigration is adults filing for their spouses. With so many people getting a green card through marriage, we have a separate guide for them. Some people who have become citizens are also filing for their parents. Likewise, some children born here upon reaching the age of 21 are able to petition for their parents. The key aspect of immediate relative immigration is that you do not have to ever wait for an immigrant visa. USCIS generously construes these categories, parents, children and spouses. For example, immigration law provides the child category includes stepchildren. The parents must marry before the child’s 18th birthday to form the the parent step child relationship. The child category also includes adopted children. The parents must have adopted the child prior to his or her 16th birthday. Check out Guide To Immigration Law for any help related to green card and visa. Also, the child must have lived with the adoptive parents for two years prior to filing the immigrant visa petition. In the spouse category, the law provides that spouses that were battered or subject to extreme cruelty may file petitions independently of their US citizen or lawful permanent resident spouse. These special immigrant visa petitions also extend to children. The spouse category also includes widows and widowers. Immigration Resource Guide provides quality guidelines about the process, application, renewal and more. The surviving spouse of a US citizen who was married for at least two years may petition within two years of the spouse’s death so long as they’re not remarried and were not legally separated from the spouse at the time of death. The US citizen spouse need not have been a US citizen for the entire two year period so long as the US citizen spouse had that status at death. If you need help understanding whether you are eligible for immediate relative benefits, we can analyze your situation and help you understand what immigration status that you may petition for. The great advantage of a family-based green card application for an immediate relative is completing the process in the United States if the relative is here. For example, if a US citizen spouse is resident in the United States we can file an application for the immigrant visa petition, form I130, and combine it with an application for adjustment of status. The result is that the USCIS can approve the US citizen spouse to receive the family-based green card without leaving the United States. Family preference immigration has four categories, F1 through F4. F1, the first preference category is for the unmarried sons and daughters of US citizens. This means children over the age of 21 of US citizens. At the time of this article this category was backed up seven years for most of the world except China India and Mexico and the Philippines for these four countries the wait time is up to 22 years, Mexico. F2, the second preference category is split into his for the spouses and children and the unmarried sons and daughters of lawful permanent residence. F-2A covers the spouse and children. 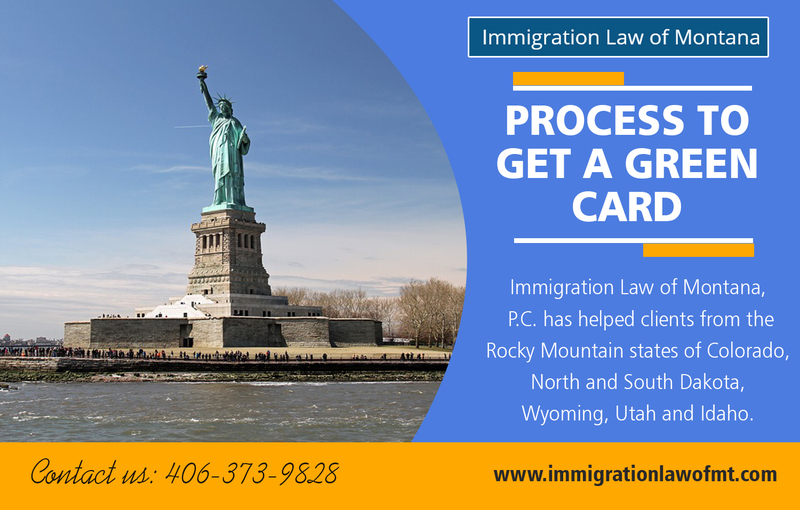 F-2B covers the unmarried sons and daughters, children over the age of 21.Us Non Immigrant Visa Types services specializes in helping residents of Montana, North Dakota and Wyoming with immigration services. The current waiting time for the F-2A category is approximately two years for most of the world including China, India, Mexico, and the Philippines. The waiting time for the F-2B category is approximately seven years except for Mexico and the Philippines. F3, the third preference category, is for the unmarried sons and daughters of United States citizens. For most of the world including China and India, this category has a 12 year wait. For Mexico and the Philippines, the wait is 22 years. F4, the fourth preference category is for brothers and sisters of adult US citizens. The wait time for this category currently is approximately 13 years, except for Mexico and the Philippines. The waiting times listed here will undoubtedly change. The best way to keep track of how long you have to wait to use an approved immigrant visa petition in the preference category is to check the Visa Bulletin issued by the Department of State. The Process To Get A Green Card numbers are updated monthly. Once the immigrant visa petition becomes current according to the Visa Bulletin, it is time to work on the next step, consular processing. Filing preference based petitions for a family based green card is always two steps. In the first step, we file immigrant visa petition, form I130, requesting the family based green card for the relative. Once the USCIS approves the petition, the petitioner waits until a visa becomes current. Once the immigrant visa is current, we can help your relative receive the family based green card through consular processing. If you need a family based green card for your spouse or any of your relatives, we can help. We have filed numerous family based green card applications. If your relative is eligible for adjustment of status, form I485, we can help with that process. If this is a preference petition, we can also help with consular processing. Please contact us.